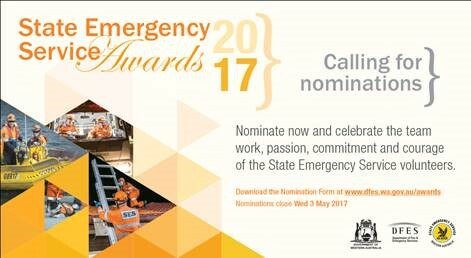 DFES advise that the nominations for the SES Awards night are now open and close on 3 May 2017. The Volunteers Association encourages SES Volunteers to look at their peers and nomination worthy candidates in the different areas. Please see attachments for a poster and the nomination form.